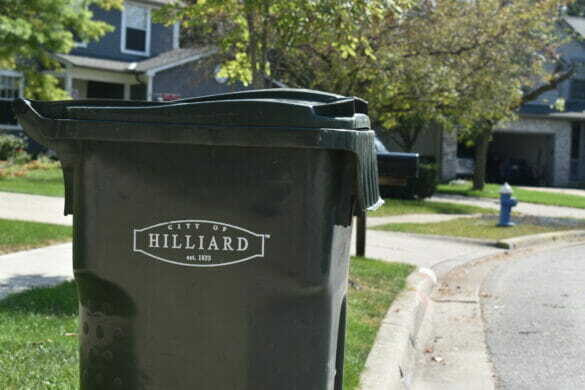 In March, the City of Hilliard will choose which solid waste collection provider will serve its nearly 10,000 residential households for the five-year period starting July 1, 2019 and ending June 30, 2024. The current contract with Local Waste ends in June. The City will be accepting bids from providers in March. According to Deputy Director of Public Service Larry Lester, the City’s goal is to maximize convenience for Hilliard residents by having the collection of solid waste, recyclables, and yard waste on the same day of the week. The City will ask bidders to identify a proposed collection day on either Tuesdays, Wednesdays, or Thursdays. Collection must occur between 7:30 a.m. and 5 p.m.
Lester said the City would seek to continue offering back door service and senior discounts, as well as bulk pick-up service. The City will continue to provide all residential waste and recycling containers to owners of new houses and condominiums. So, even if a different provider is selected than the current one Hilliard residents will continue to use their existing containers. The City invites residents to ask questions and make comments by completing the online form at the bottom of this page. The City plans to hold its pre-bid meeting with possible vendors on March 18 and open bids on March 28 at 2 p.m. Bid packets will be available at Key Blue Prints, 195 East Livingston Ave., Columbus, on Thursday, March 7.